Utilizing the best combinations of mindset, skill set and tool set to overcome the vast array of challenges in order to improve the performance in the Life Sciences and Health Care industry. PharmD is a leading independent consultancy and project management organisation in the life sciences, pharmaceutical, biotechnical,medical devices and health care domains. Our goal is to enhance the safety and quality of medicine and help shorten the time to patient for drugs and medical devices that improve the quality of life. We have an open and transparent culture where we bring out the qualities and pragmatic hands-on approach of our consultants as well as possible. Our expertise involve current regulatory, data integrity, validation, QA/QC, engineering and project/program management practices from around the globe. Working collaboratively with our client’s personnel we have successfully transformed the various organisations into a future state with respect to compliance, validation, serialisation, data integrity/governance, regulatory affairs and audits & inspections. Our consultants are Lean Six Sigma green or black belt practitioners that are driven by a continuous journey of improvement. By working together with clients we collaboratively achieve successful solutions contributing to your growth. 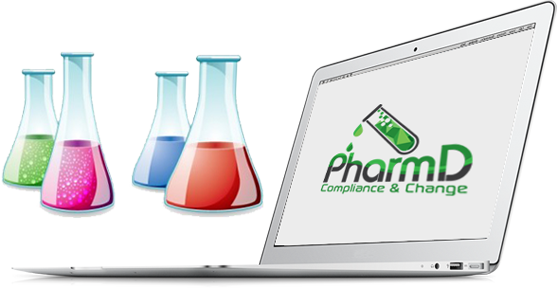 PharmD can offer you an effective approach to the regulatory change management processes through a high level of engagement, coordination and advanced features for more effective management, mapping, regulatory development assessments, monitoring and reporting.